Goods and Services Tax (GST) is a comprehensive indirect tax on manufacture, sale, and consumption of goods and services throughout India. GST would replace respective taxes levied by the central and state governments. It is a destination-based taxation system. It has been established by the 101st Constitutional Amendment Act. It is an indirect tax for the whole country on the lines of “One Nation One Tax” to make India a unified market. It is a single tax on supply of Goods and Services in its entire product cycle or life cycle i.e. from manufacturer to the consumer. It is calculated only in the “Value addition” at any stage of a goods or services. The final consumer will pay only his part of the tax and not the entire supply chain which was the case earlier. There is a provision of GST Council to decide upon any matter related to GST whose chairman in the finance minister of India. What taxes at center and state level are incorporated into the GST? 1986: VishwanathPratap Singh, Finance Minister in Rajiv Gandhi’s government, proposed in the Budget a major overhaul of the excise taxation structure. This was similar to GST in a theoretical sense. 2000: Initiating discussions on GST, Vajpayee government appoints an Empowered Committee headed by the then finance minister of West Bengal Asim Gupta. 2004: Vijay Kelkar, then advisor to the Finance Ministry, recommends GST to replace the existing tax regime. Feb 28, 2006: GST appears in the Budget speech for the first time. Finance Minister Chidambaram sets an ambitious task of implementing GST by April 1, 2010. Feb 28, 2007: Chidambaram said in his Budget speech that the Empowered Committee of finance ministers will prepare a road map for GST. April 30, 2008: The Empowered Committee submits a report titled ‘A Model and Roadmap Goods and Services Tax (GST) in India’ to the government. Nov 10, 2009: Empowered Committee submits a discussion paper in the public domain on GST welcoming debate. Feb 2010: Government launches project for computerisation of commercial taxes. Finance Minister Pranab Mukherjee defers GST to April 1, 2011. March 29, 2011: Bill referred to Standing Committee on Finance. Nov 2012: Finance minister and state ministers decide to resolve all issues by Dec 31, 2012. Feb 2013: Declaring government’s resolve to introduce GST, the finance minister makes provisions for compensation to states in the Budget. Aug 2013: The standing committee submits a report to Parliament suggesting improvements. But the bill lapsed as the 15th LokSabha was dissolved. Dec 18, 2014: Cabinet approval for the Constitution Amendment Bill (122nd) to GST. May 6, 2015: The Amendment Bill (122nd) passed by the LokSabha. Aug 2015: Government fails to win the support of Opposition to pass the bill in the RajyaSabha where it lacks sufficient number. Aug 3, 2016: RajyaSabha passes the Constitution Amendment Bill by a two-thirds majority. Note: GST constitutional amendment bill needs to passed by at least 50% of state legislatures to be implemented. Assam is 1st State to pass GST bill. 1 July 2017: GST to be applicable across India. Simple and Easy to administer: Because multiple indirect taxes at the central and state levels are being replaced by a single tax “GST”. Moreover, backed with a robust end to end IT system, it would be easier to administer. Better control on leakage: Because of better tax compliance, reduction of rent seeking, transparency in taxation due to IT use, an inbuilt mechanism in the design of GST that would incentivize tax compliance by traders. Higher revenue efficiency: Since the cost of collection will decrease along with an increase in the ease of compliance, it will lead to higher tax revenue. The single and transparent tax will provide a lowering of inflation. Tax democracy that is luxury items will be taxed more and basic goods will be tax-free. Ease of doing business will increase due to easy tax compliance. Uniformity of tax rate and structure, therefore, better future business decision making and investments by the corporates. Removal of cascading effects of taxes. Reduction in transactional cost will lead to improved competitiveness. Gain to the manufacturer and exporters. It is expected to raise the country GDP by 2% points. Note: We have covered the 10 major benefits of Goods and Service Tax in a separate article. It is the 1st Federal Institution of India, as per the Finance minister. It will approve all decision related to taxation in the country. It consists of Centre, 29 states, Delhi and Puducherry. Centre has 1/3rd voting rights and states have 2/3rd voting rights. Decisions are taken after a majority in the council. For the implementation of GST, apart from the Constitution Amendment Act, some other statutes are also necessary. Recently 5 supporting laws to the GST were recommended by the council. 4 for the bills should be passed by the parliament, while the 5th one should be passed by respective state legislatures. The details are given below. The Central Goods and Services Tax Bill 2017 (The CGST Bill). The Integrated Goods and Services Tax Bill 2017 (The IGST Bill). The Union Territory Goods and Services Tax Bill 2017 (The UTGST Bill). 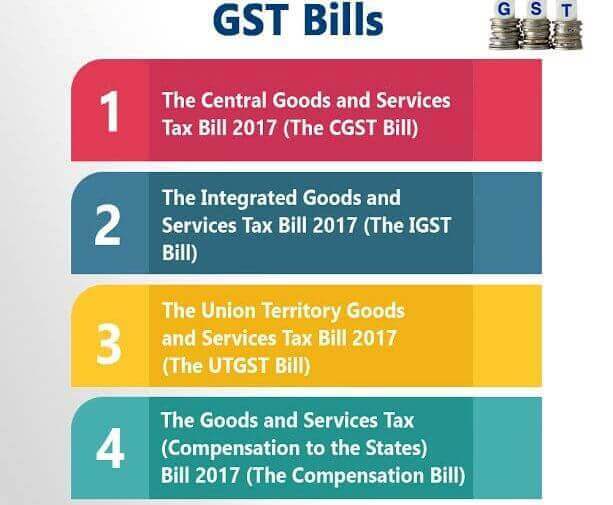 The Goods and Services Tax (Compensation to the States) Bill 2017 (The Compensation Bill). And a state GST will be passed by the respective state legislative assemblies. Tax slabs are decided as 0%, 5%, 12%, 18%, 28% along with categories of exempted and zero rated goods for different types of goods and services. Further, a cess would be levied on certain goods such as luxury cars, aerated drinks, pan masala and tobacco products, over and above the rate of 28% for payment of compensation to the States. However, which goods and services fall into which bracket is still an enormous task to be completed by the GST council. Highest tax slab is pegged at 40%. 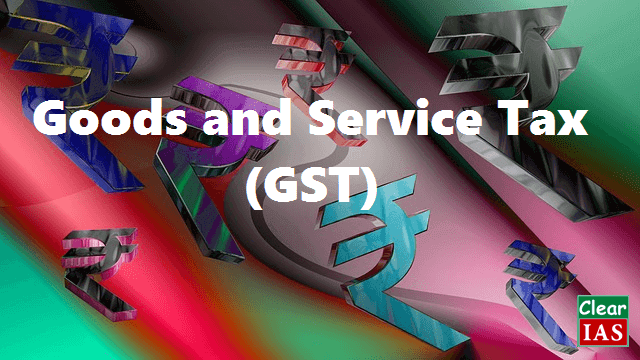 What is the Principle of GST? The Centre will levy and collect the Central GST. States will levy and collect the State GST on the supply of goods and services within a state. The Centre will levy the Integrated GST (IGST) on the interstate supply of goods and services, and apportion the state’s share of tax to the state where the good or service is consumed. 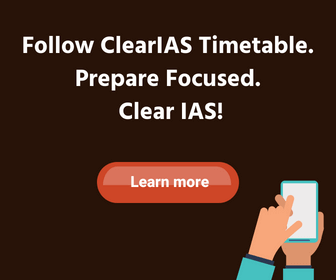 The 2016 Act requires Parliament to compensate states for any revenue loss owing to the implementation of GST. Not all items are covered: Taxation for certain items such as Alcohol, Tobacco etc. are still not under the GST domain. States argue that including them would hamper their revenue and they would suffer a huge resource. However, some experts say that the real reason is the nexus of politicians with some business class and high profile lobbying. Further, the Finance minister of India has said in the parliament that the consensus to include alcohol and tobacco under GST regime is possible in foreseeable future. Decision criteria for the tax bracket: There are apprehensions that how to decide about the items and the criteria that which item will fall into which tax bracket. It may lead to lobbying. To this, the Finance minister has said that the decision will be taken by the GST Council only and after due diligence and most probably by the consensus. Multiple tax rates and brackets: The philosophical idea that GST means “One Nation one Tax” is currently diluted due to multiple tax rates and brackets. To this, the Finance minister has said that since the target consumer of goods and services have different capabilities and therefore there must be a system similar to the democratic lines where higher value consumer pays more taxes. Power to impose tax taken away by Central Government from the Parliament: The Central GST Bill, 2017 allows the central government to notify CGST rates, subject to a cap. This implies that the government may change rates subject to a cap of 20%, without requiring the approval of Parliament. Under the Constitution, the power to levy taxes is vested in Parliament and state legislatures. Though the proposal to set the rates through delegated legislation meets this requirement, the question is whether it is appropriate to do so without prior parliamentary scrutiny and approval. Confusion regarding the location of consumption: Under GST, both state and Centre can tax the services based on their location of consumption. Now the confusion arises since the general rule to determine the location of the recipient is his location or address on record; there are specific rules for various services such as telecom, property, transportation, etc. This means that while a service may be consumed across multiple states, the tax revenue would be attributed to the state where the recipient is registered or his office is located. This could lead to higher tax attributed to states that have more registered offices. For example, suppose a company is located in Bangalore and advertises its products in the Kolkata edition of a newspaper, which has its registered office in Delhi. In this case, one may argue that the service is being finally consumed in Kolkata. However, as the recipient of services is in Bangalore, the tax would accrue to Karnataka. Anti-Profiteering Clause: The government is planning to set up an authority to see if any reduction in tax rates after GST is passed on to the consumer by companies or not. The industry and businesses are not taking this idea kindly and they see it as a backdoor entry of inspector raj. Experts say that prices should be market determined and no government authority has the business of deciding prices for goods and services. Confusion regarding the control over taxation: To avoid dual control, the GST council has reached a compromised formula. 90 percent of tax assesses with an annual turnover of Rs 1.5 crore or less, will be assessed by states and the rest by the Centre. For those with a turnover of over Rs 1.5 crore, the states and the Centre will share it equally. However, this ‘solution’ has its own set of issues. 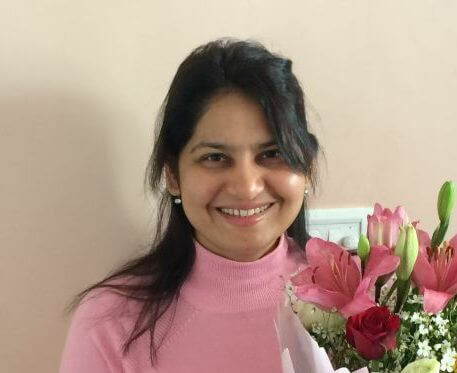 For example, if an entity with a turnover of less than Rs 1.5 crore in one year, posts a turnover of Rs 1.5 crore in the following financial year, who would be the new authority to take over the assessment? And, how will the existing investigations, if any, against the entity be addressed, and by whom? “There are a lot of procedural issues, and if these issues are not addressed properly, they would lead to litigations. The issue of casual taxable person: If a person registered in one state moves to another state for a short period for some business transaction – say to participate in a fair or exhibition, then that person would have to get himself registered in that state for that period. GSTN is registered as a not-for-profit company under the companies Act. It has been formed to set up and operate the information technology backbone of the GST. While the Central (24.5%) and the state (24.5%) governments hold a combined stake of 49%, the remaining 51% stake is divided among five financial institutions—LIC Housing Finance with 11% stake and ICICI Bank, HDFC, HDFC Bank and NSE Strategic Investment Corporation Ltd with 10% stake each. GSTN had awarded Infosys Ltd the contract to develop the hardware and software for GST. It is argued by some as a private company therefore not under government control. It may lead to a breach of tax data into private hands and manipulation of the same for the advantage of some corporates. To this allegation, the Finance minister replied in the parliament that this arrangement was decided by the empowered committee of the previous government and the present government has endorsed it by considering the fact that private professionals are required to such high octane system. Further, he said that if in future there seem to be any problem with the current structure then it can be changed through the GST Council debate and discussion. 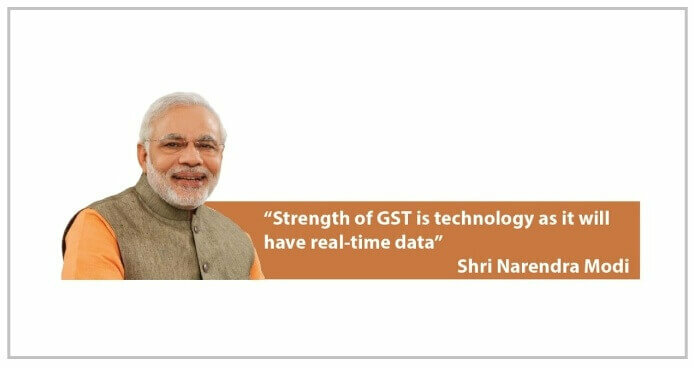 Further, GSTN website clarifies that the strategic control over GSTN is with the government given the sensitivity of the role of GSTN and the information that would be available to it. The strategic control of the government over GSTN is ensured through measures such as the composition of the board, mechanism of special resolution and shareholders agreement, induction of government officers on deputation and agreements between GSTN and governments. example : If an product that is manufactured in Andra Pradesh like a CAR and a person buy that CAR is from Delhi Then prior to GST tax on this product goes to A.p.. But as GST is destination based tax now the tax will given to Delhi GOVt. as the consumer is from Delhi. This was the main conflict over GST between centre and state . Good and easily understandable with full content. Hi. Good information about GST.but I have one query.I m staying in rental house.My rent agreement didn’t support for commercial work.and I don’t have any other property to commercialise for gst.and I am a designer.i need GST to work.now what to do?how can I start work without gst?